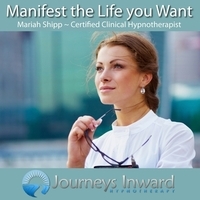 ​ Manifest the Life you want in 2015! My latest work called “Manifesting” was developed while in school at University of Santa Monica (graduate program in Spiritual Psychology). Manifesting is a quick and easy way to zero in on what your goals are and make them happen in a fun and creative way! There is more and more evidence that you are what you think. As Napoleon Hill who wrote "Think and Grow Rich" said “all achievement, all earned riches have their beginning in an idea!" Henry David Thoreau said “This world is but a canvas to our imaginations” and Rhonda Byrne from her well know book "The Secret" said in her new book “The Power” “Imagine it, feel it, receive it!” Just think of the possibilities! If you could create the kind of life you really wanted... stop and imagine that for a moment. What would that be like, to create your reality? There are some basic principals like, what you focus on grows! Negatively framed intentions need to be changed to positive. Be clear and define what you desire. Say your intentions to yourself in the present, as if they have already happened. Be careful with your thoughts, as the subconscious absorbs them and thinks that is what you want. Be clear with yourself when you are manifesting your dreams. Follow your heart not your mind, be true to yourself. Our minds are so powerful that we can create what we want if we first identify it and then imagine it as if it has already happened. If it is a job that you want; picture yourself working at the job, see what you are wearing on your first day of work, imagine yourself shaking hands with the boss, and see your first pay check in your hand. If it is a relationship, see yourself with the partner that would be perfect for you. Visualize yourselves walking hand and hand, doing things that you love together. Express gratitude for this happening in your life. You can't always control what happens to you but how you respond to it is what makes the difference! The more you believe it and the more you practice it, the better chance you have for it coming to you! Manifesting can help you embed these beliefs deep into your subconscious mind so that you are subconsciously working towards your goals everyday without even knowing it. These subconscious beliefs will become so strong over time that they will eventually manifest into reality. Call me and we can do a manifesting session together on the phone, you will be amazed at how well it works!